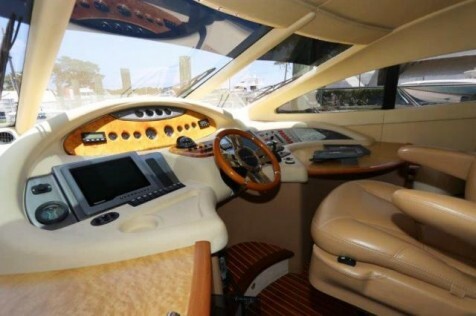 Manufacturer's Description: Azimut has always enjoyed a reputation for innovative design—with the 62, the company produced a visually appealing yacht with sumptuous accommodations and exceptional build quality. 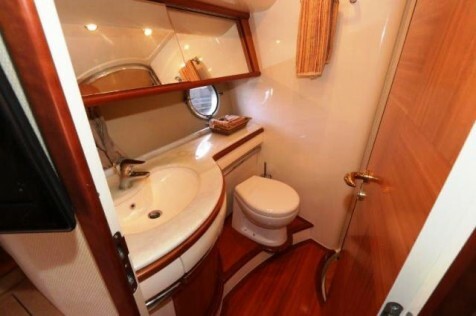 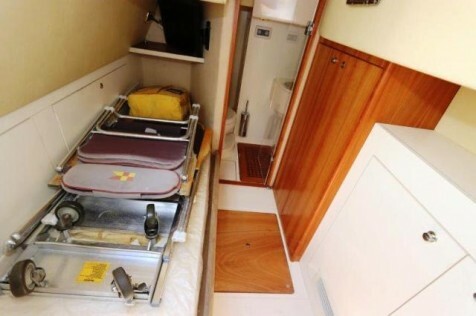 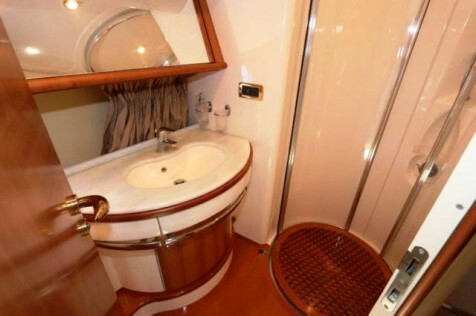 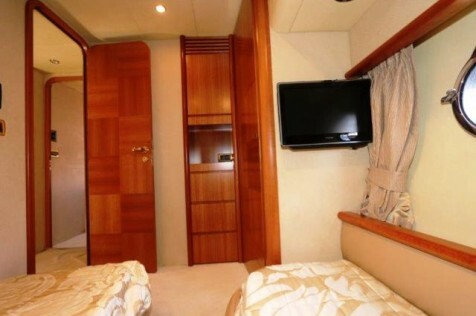 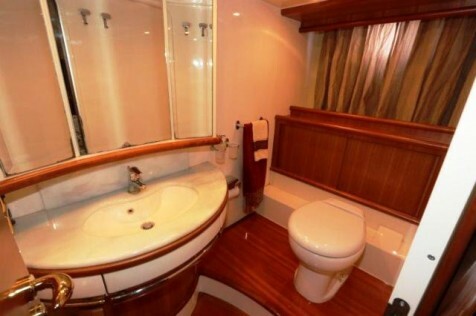 A fully integrated salon/dinette/helm area with posh furnishings and high-gloss cherry joinery dominates the Evolution’s three-stateroom interior. 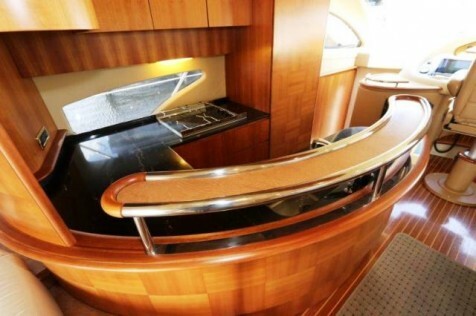 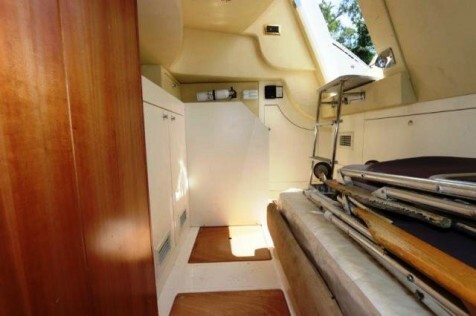 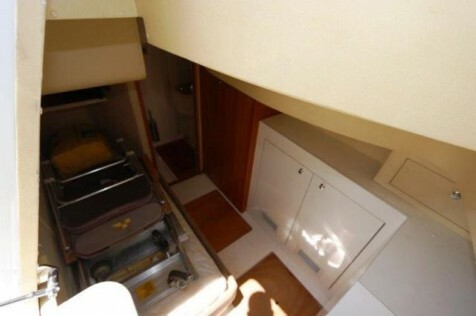 The galley (with service bar) and dinette are forward, two steps up from the salon. 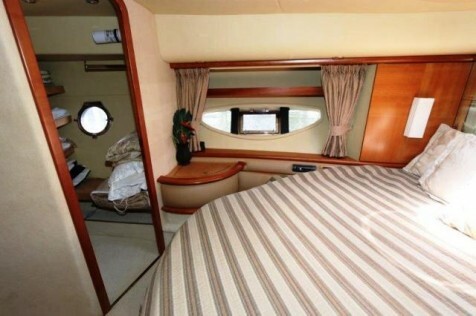 Three large hull windows on the port and starboard side provide lots of natural lighting in the full-beam master suite. 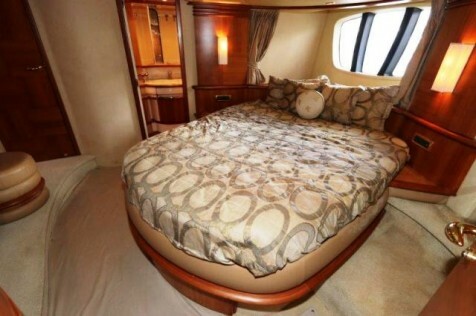 The master and forward VIP staterooms have queen berths, and the guest stateroom has side-by-side berths. 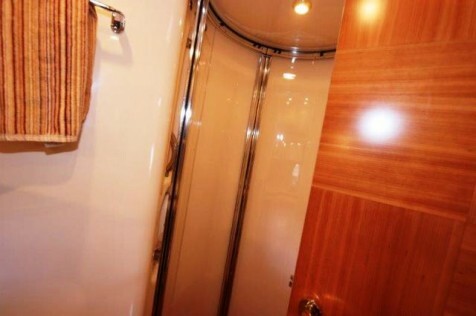 All three heads contain a shower enclosure. 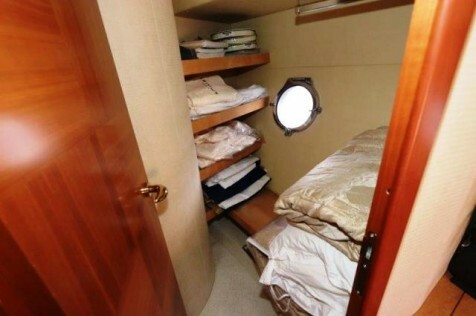 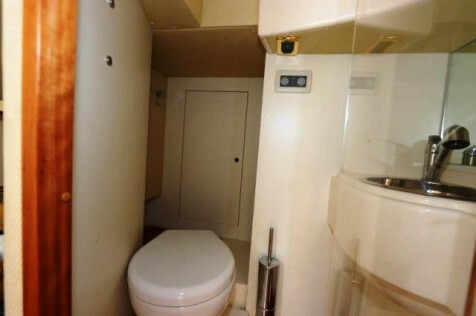 Crew quarters are astern. 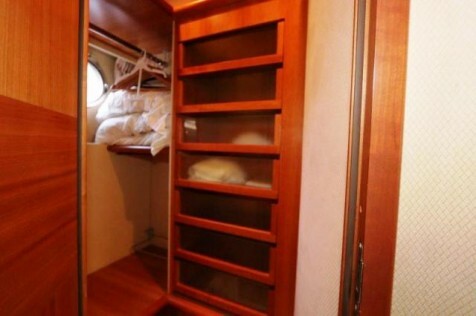 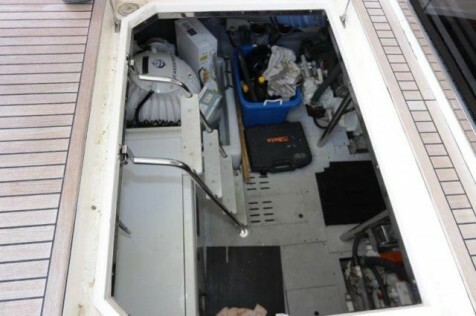 A transom gate to starboard on the aft deck opens to the swim platform, and a hatch in the teak sole leads to the crew quarters and engine room. 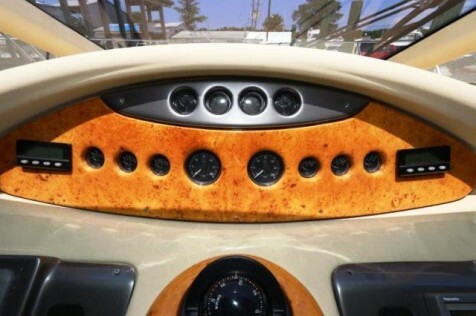 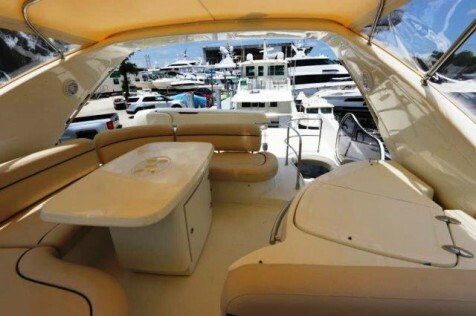 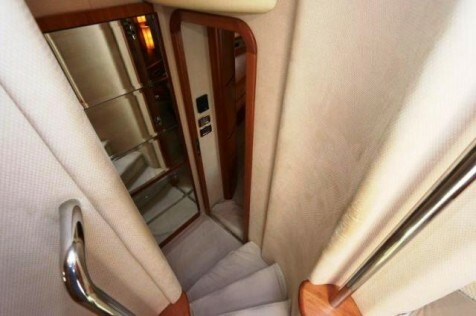 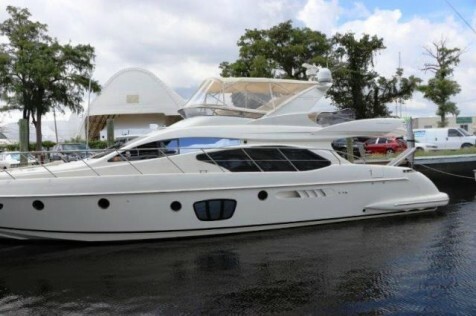 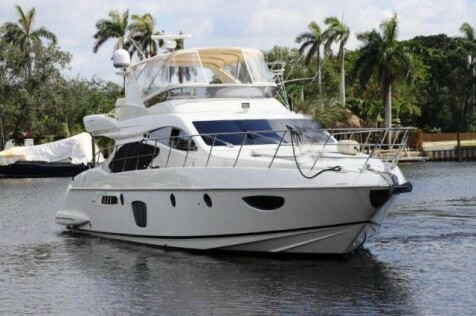 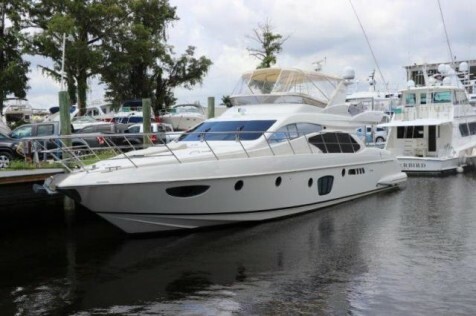 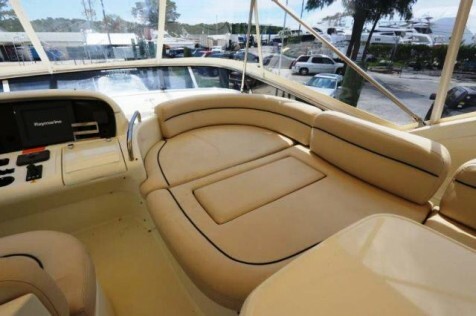 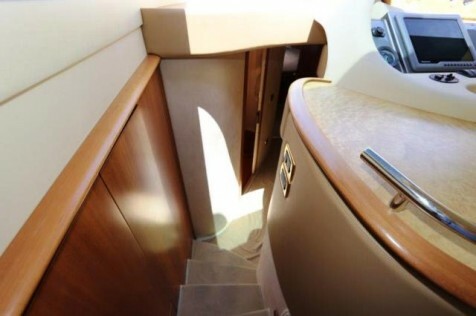 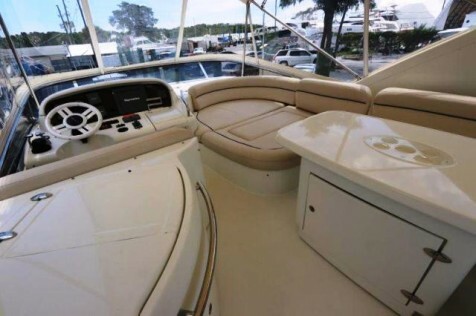 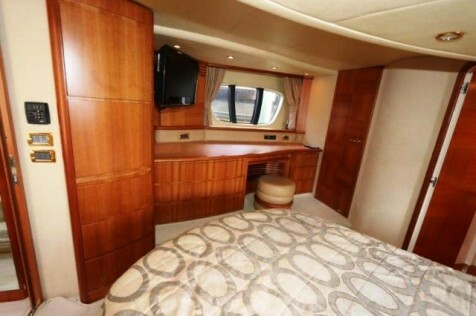 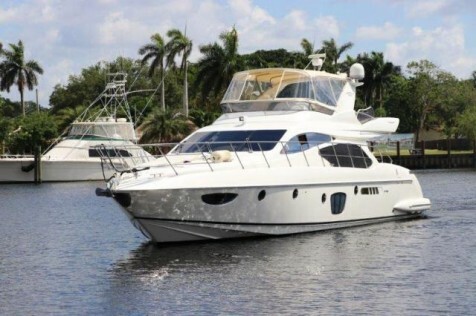 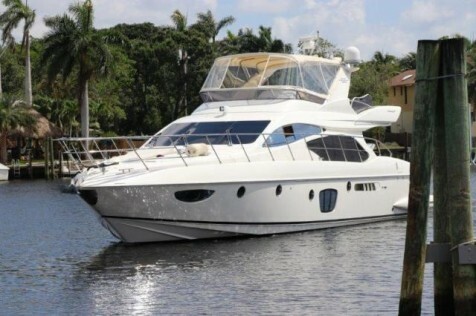 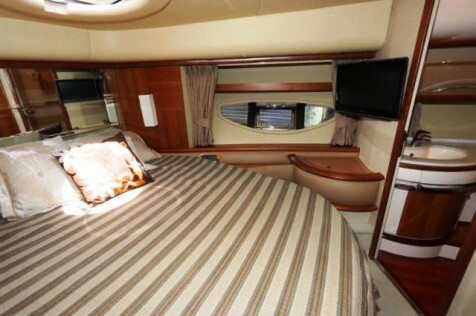 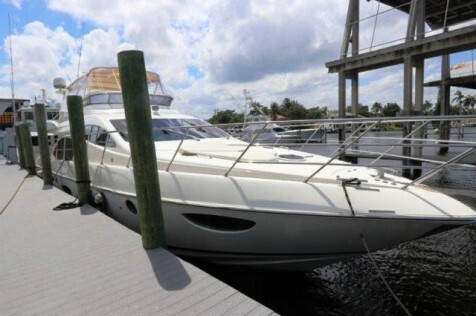 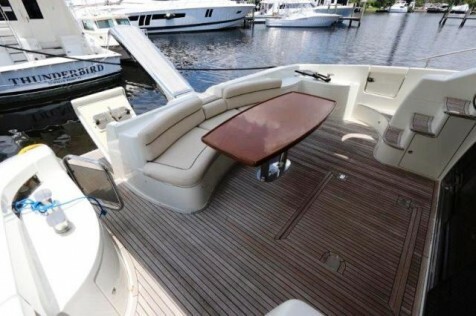 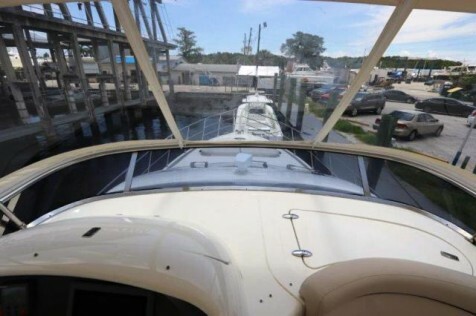 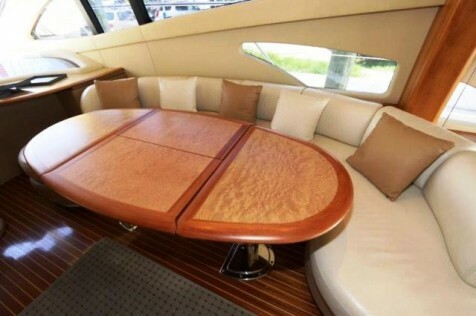 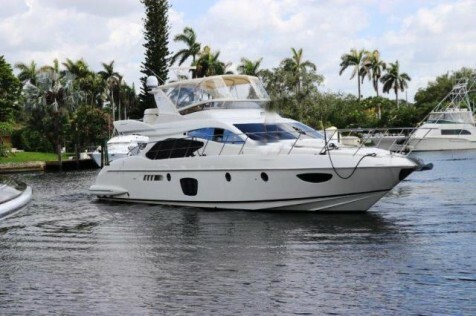 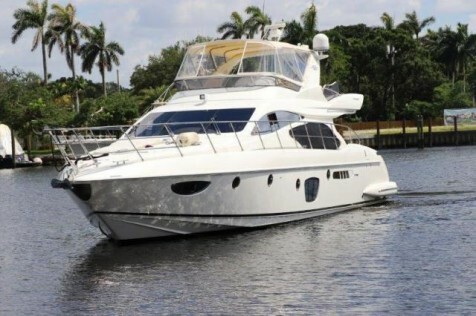 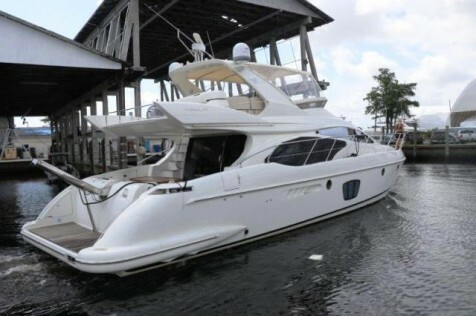 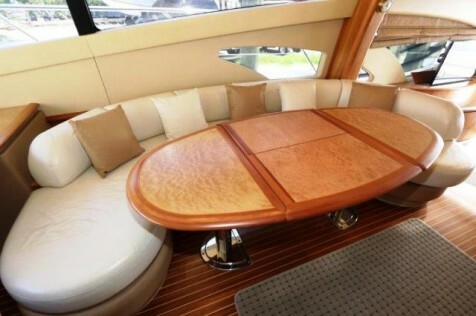 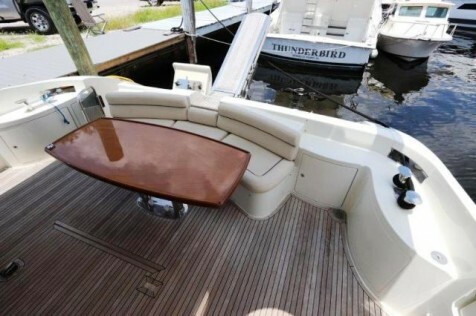 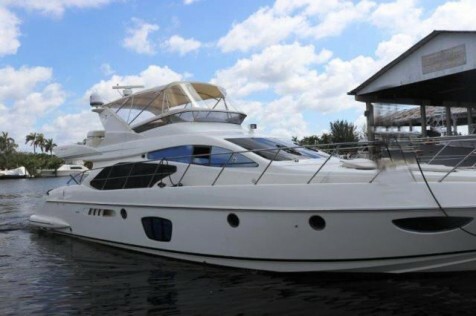 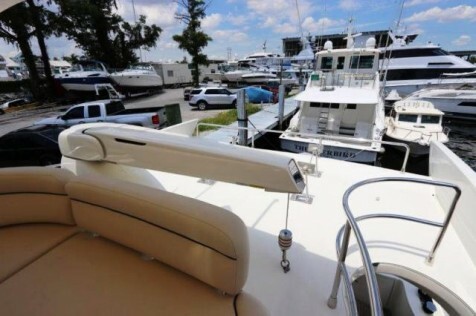 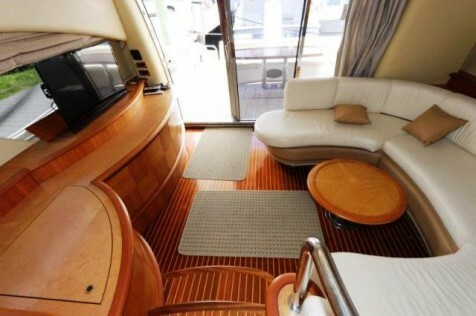 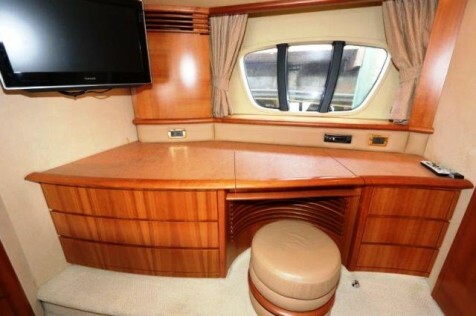 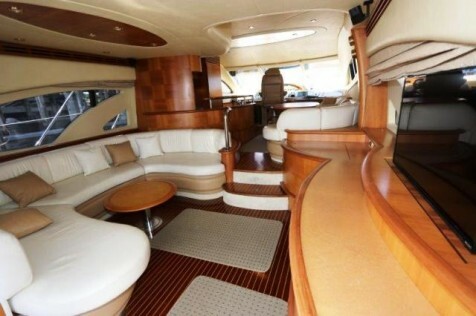 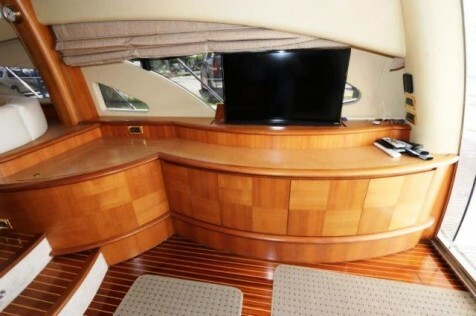 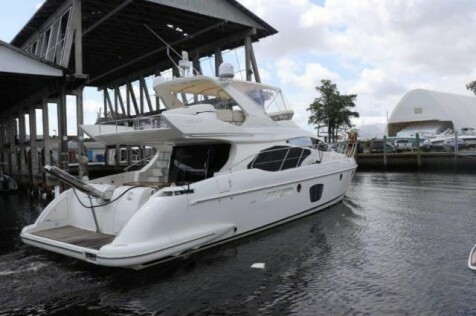 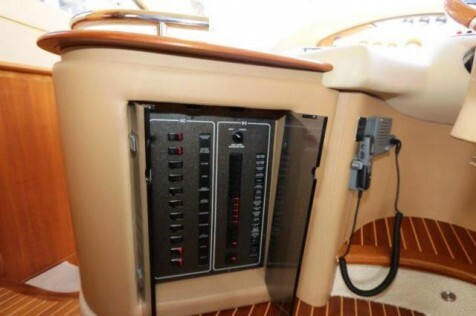 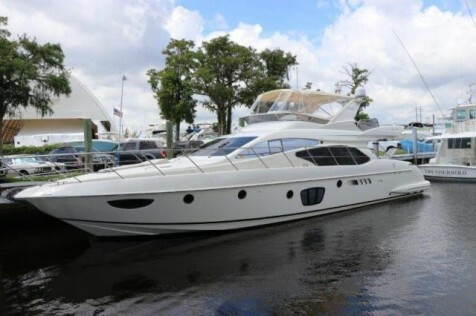 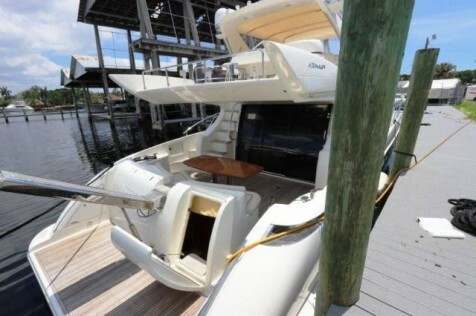 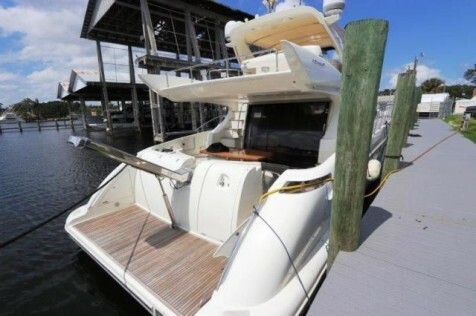 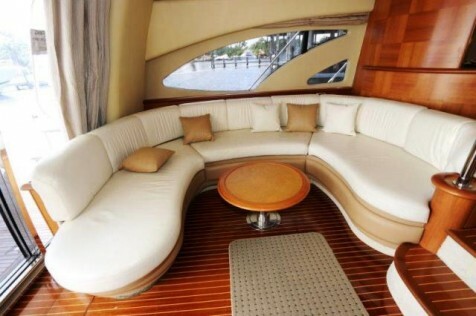 Topside, the flybridge has a barbecue, wet bar, sun pad, and settee. 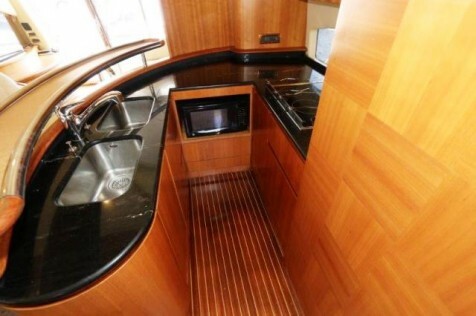 Galley: stainless steel and glass molded sinks in galley and heads Double refrigerator, ice maker, freezer, microwave Four burner stove and electric grill. 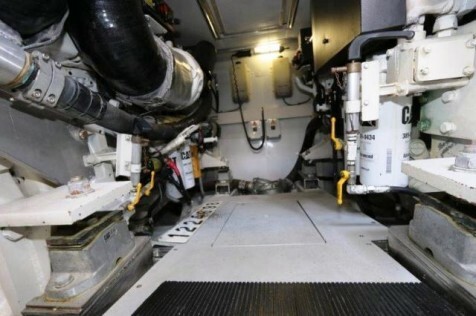 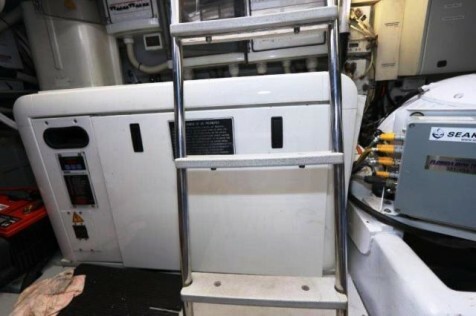 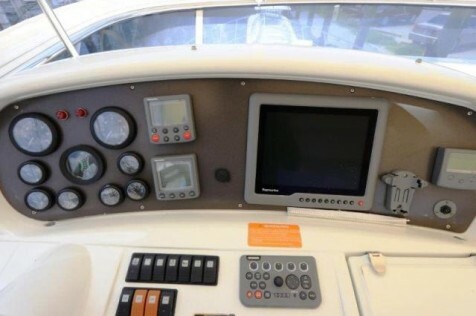 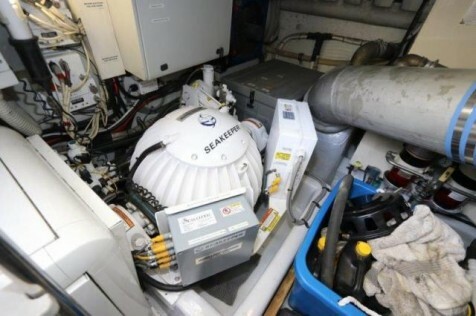 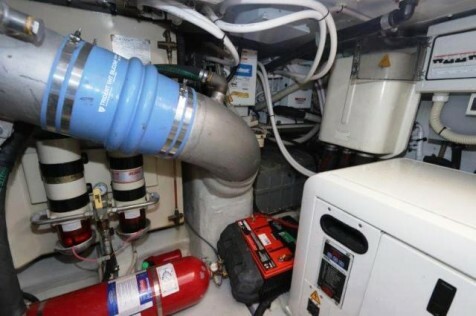 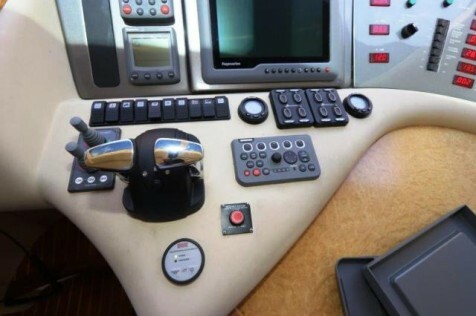 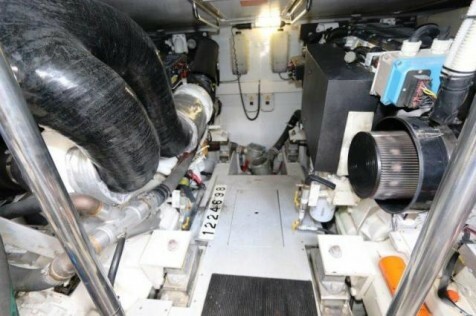 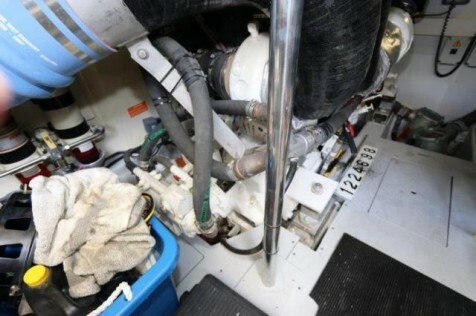 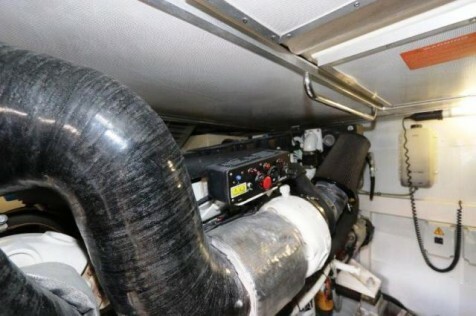 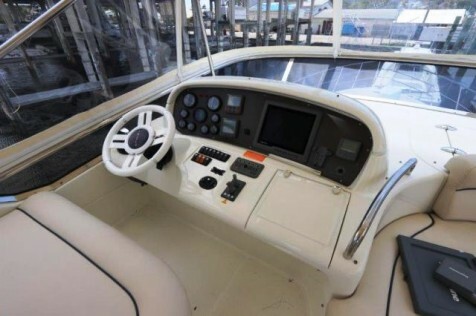 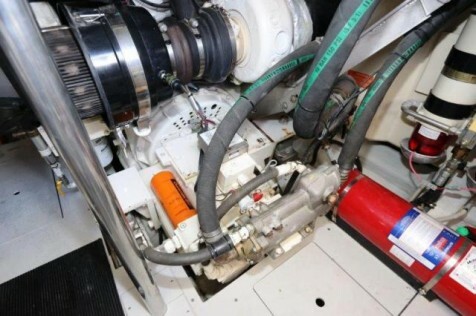 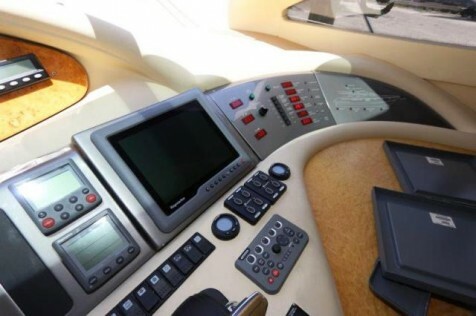 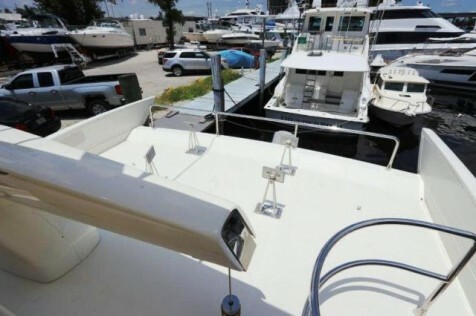 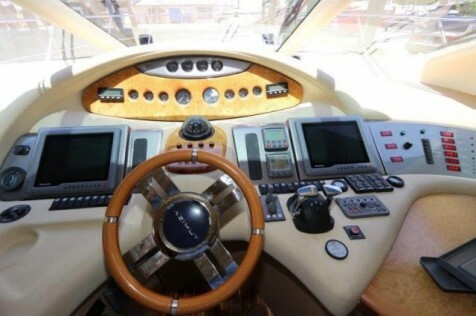 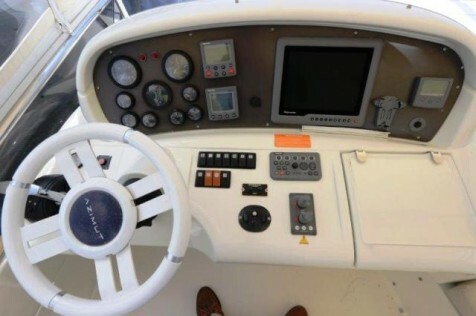 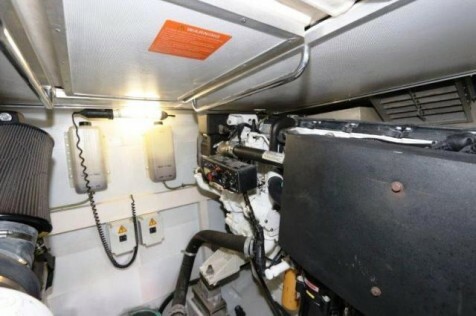 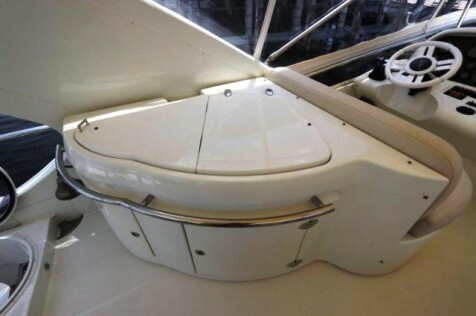 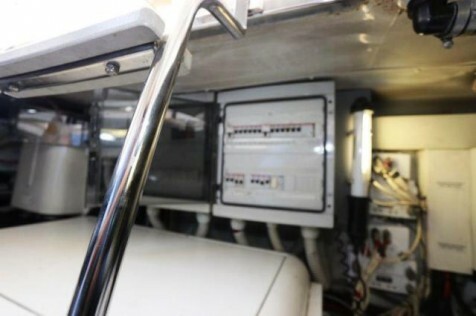 Dual helms, windlass, electrical systems, navigation Call for details. 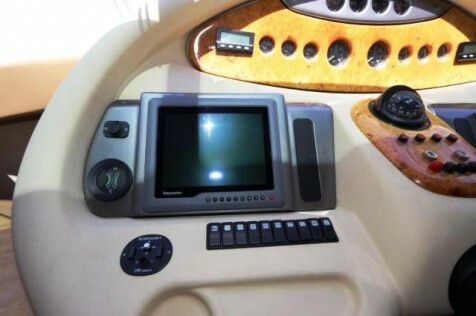 Raymarine RAY240 VHF, Raymarine G120 radar, 2 Raymarine GPS/chart plotters, Raymarine depth finder, auto pilot, stereos, 3 televisions, A/C, heat, bimini top, remote spotlight, bar.